6. Where Is My Heart Tonight? Like all our recordings, this one has been long in coming: songs that have resonated with audiences at our concerts, evolved as we have played them over time..proven their validity and worth...and,bottom line, WE like them and thought they were worth recording! A cast of wonderful singers and players, a great and gifted engineer. We are singer/songwriters, grounded in the tradition of the folk boom of the late 1950s and 60s and the singer/songwriter boom that followed and continues. We love being part of a tradition that goes back thousands of years: keeping it alive, adapting the historical to our contemporary reality, and hopefully leaving another link it the chain for those who will follow after. "A fine and worthy craft", as Utah Phillis put it. Real and authentic...we are proud of our body of work, and what it has to offer. Thank you for taking a listen. 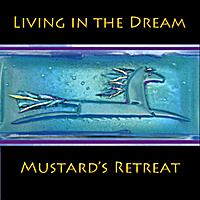 If you are ever dragged into a debate over ”what is folk music?”, I recommend that you say nothing, put Mustard’s Retreat onto a CD player, and press play. The long-time duo of Michael Hough and David Tamulevich embodies everything that folk music stands for. First, their spirit is hopeful, heartfelt, and honest. On “Find A Way To Love,” written for the Appalachian dulcimer, their message is, “You’ve only this moment, reach out and own it, and find a way to love.” “ The First Flower” is a touching and allegorical song about the first daffodils of spring. Finally, their songs are direct and meaningful. In “ Baby I’m Just Crazy About You.” The singer coyly suggests that “ we change the math of this equation and calculate ourselves something new.” And, in a wistful torch song, they ask “ Where Is My Heart Tonight?” They also hew close to tradition, adapting “Blow The Candle Out” and “ Adieu Sweet Lovely Nancy,” and including a ghost song and a fishing song. This is Mustard’s Retreat’s thirteenth album, and their first studio album since 2005. The songs don’t venture far from the foursquare ballad tradition, though the arrangements are spiced up smartly by a fiddler, a mandolin player, and an accordionist, all of whom are named David Mosher, who also produced the album. For those of us who know David Tamulevich primarily as a premier folk-music booking agent, hearing his music is like seeing a wonderfully unexpected new side of an old friend.